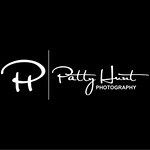 Patty Hunt spent 27 years in the United States Air Force and retired in 2006 as a Colonel. She developed a real passion for photography while stationed in Germany with her husband from 2007 to 2009. Traveling to over 18 countries in a two year time frame gave her the opportunity to thoroughly enjoy much of the scenery Europe has to offer. In addition to the photography business, Patty and her husband run Supersonic Solutions LLC, an aviation related business and formerly ran Supersonic Wine and Spirits, a small wholesale wine company.